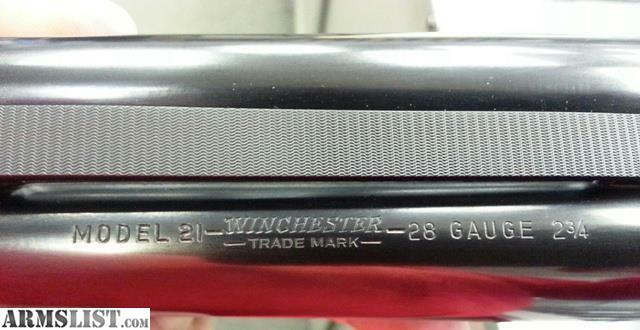 I have a Factory Winchester Model 21 28ga New. Gun is from high in collector. Have 3 guns total he is selling will post them all this week. This gun is new 2 of the guns have Cody letters this one does not they said not found. And if you know anything about these guns you will have that and not many of them were made. We are a stocking Class 3 Dealer, Suppressors, Short Barreled Rifles and Automatic Weapons. We also have a generous layaway program.